Check out our guest post on the Visit Bucks County Blog that was published yesterday. Black Friday Deal Only! On sale through November 28. SAVE $50 off Our Full BEGINNERS Camera Class with Field Trip Included in 2017. Many dates offered thru the year. Generally a class is available to take each month with various week nights to choose from. Cannot be combined with any other specials or coupons. Hands-on Learning is the Best! We will be work on your own images and learning how to import, organize, enhance and upload your final images. You will also have time to use and practice the retouching buttons that are amazing in this program!Also learn the new features of LR6. We offer small classes with lots of personal attention! Come join me this Saturday early evening for the Franklin Square Holiday Festival & Electrical Spectacle Holiday Light Show. It’s going to make you sing! More than 50,000 twinkling lights are set up and we’re going to photograph them. Bring your tripod and remote if you own one. Wide angle lens/zooms would work best. 2 hours of nighttime instruction. We’ll be using long exposures. If you own a star filter, bring it too. If you’ve never taken my classes, you’re in for a treat! All levels of photographers are welcome to join me. The centerpiece of the shows is a 12-foot tall kite that serves as an ode to Benjamin Franklin’s famous kite-and-lightning experiment, hovering 16 feet above the square’s centerpiece fountain. LED lights dance to music all along the kite, spreading holiday glow throughout the park. Two alternating shows take place every 30 minutes beginning at 4:30 p.m. Hang out after we’re done and enjoy the Beer Garden and Ice Sculptures. Time to be creative with the holiday lights in Peddlers Village. Kathy will take you out and show you how to use your tripod to take photos of the lights. She will teach you how to use MANUAL settings to make the best night time photos. (if you don’t have a tripod one can provided for you). One of our Most Popular Workshops! Extend your camera knowledge…Learn • Manual setting on your camera and how to zero out your meter • External Flash, On and Off camera • Mixing flash with natural light exposures • Neon lights at night and time exposures on a tripod • Macro and close up photography • HDR and when and how to use it. This Deal good thru Nov. 28, 2016. Learn all the tips the pros use through the simple form of a cheat sheet! F-Stop, Shutter Speeds and ISO Settings are listed to keep in your camera bag. Laminated 5 inch by 8 inch card. Available at a low cost of $6.99 with FREE Shipping and Handling. Learning is always more fun when food is involved! 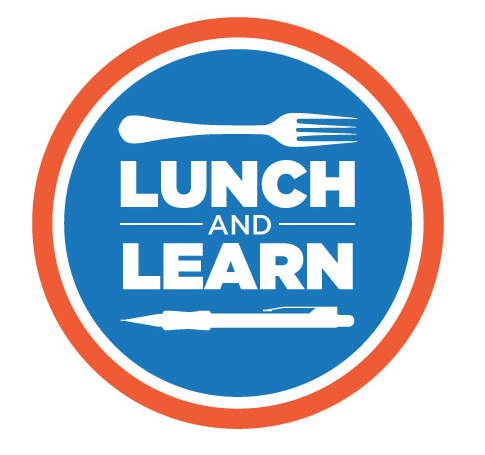 Come to our Lunch and Learn Special on Tuesday, November 15, 2016 from 12:00-1:00pm. We’ll go over the basics of your camera and how to shoot in the perfect mode. For only $25, I promise it’ll be a lunch special that will satisfy your appetite. Katydid Photography Studio located at 363 W. Bristol Rd Warminster, Pa 18974. Katydid is offering Fall Mini Sessions, just in time for the Holiday Season! Large family portraits are welcome in our indoor or outdoor studio. Also taking appointments for the day after Thanksgiving. up and we’re going to photograph them. Bring your tripod and remote if you own one. Wide angle lens/zooms would work best. 2 hours of nighttime instruction. We’ll be using long exposures. If you own a star filter, bring it too. If you’ve never taken my classes, you’re in for a treat! All levels of photographers are welcome to join me. explore the buttons and dials, we will cover proper exposure using ISO, f-stops, shutter speeds, depth of field, lenses, flash and composition. Discover how to stop the action of sports photos and learn how to take beautiful portraits of your loved ones. Hands-on instruction during each class. Also learn the new features of LR6. We offer small classes with lots of personal attention! 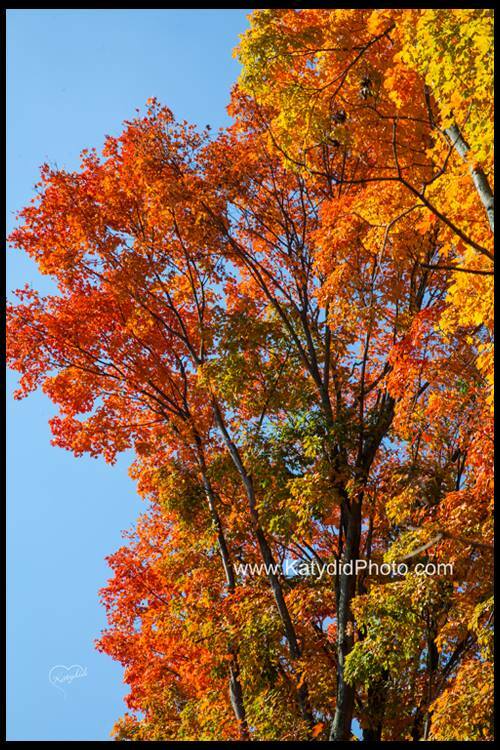 This weekend Katydid Photography is taking advantage of this beautiful weather and offering four great workshops. Come join us and enjoy this gorgeous fall weather while it lasts! 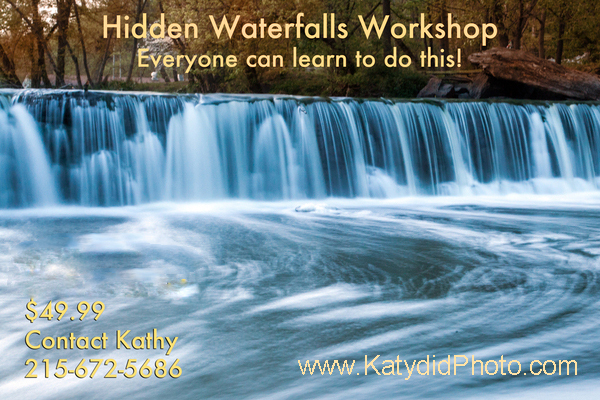 Come out with me and photograph a hidden waterfall, Up close and personal. You’ll be on dry land and right in front of the waterfalls. Bring your tripod, polarizer or neutral density filters. We will be using slow shutter speeds to create romantic dreamy photos . We’ll also be using super fast shutter speeds to stop the action of the waterfalls for a crisp, clean look. This workshop is limited to 10 people. I have scouted out locations for our workshop and this one is fantastic! I will teach how to use Shutter Priority (S, Tv) and Manual Modes. Also how to work with ND/or Polarizer filters correctly and focus. We will also be using Histograms, Metering and White Balance for great results. Wear hiking boots. We will be walking thru a small muddy area. Let ‘s get together and shoot this iconic farm estate. Enjoy a journey through time with this beautiful property nestled on 10 acres in the back roads of Bucks County. 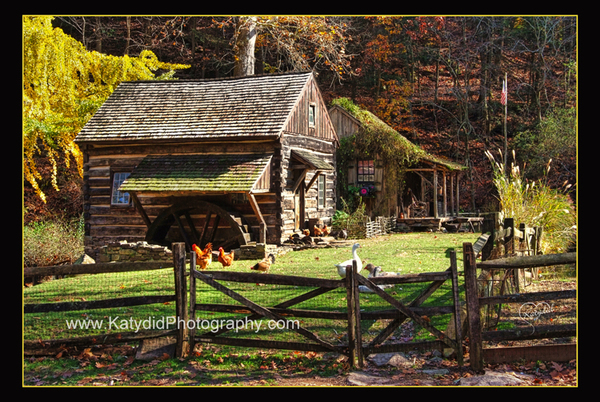 It happens to be one of the most painted and photographed scenes in the state of Pa. Come visit with the chickens and the baby doll sheep. Check out the waterwheel and the barn. Get wonderful reflections in the pond of the wooden buildings. So much beauty to photograph yet so simple. Bring your lenses and try out different angles. I would suggest a wide angle and a telephoto lens. Work on your depth of field skills and bring your tripod if you like. This is a great property to try out some HDR images. Kathy will be available to help everyone individually with their problem areas during this workshop. It’s time again for our Beginners Camera Field Trip this coming Saturday! We’ll meet at the front parking lot of the Bryn Athyn Cathedral. Plan to dress warm. You don’t need a tripod for this event. If there’s any question about the weather, please call my cell to check. If you’re signed up and you can’t make it, call or text me please at 215-262-7515. Ween. Tripods are a must!